These are the latest currencies added to the Leftover Currency site. Have a look to see if you have any of these foreign banknotes or coins: We convert them to cash in three easy steps and free of charge. The British overseas territory the Falkland Islands is commonly referred to as ‘the Falklands’ by the British and ‘Islas Malvinas’ by the Argentineans. The islands have their own currency, the Falkland Islands Pound, which is pegged to the Pound Sterling. We can help anyone who has leftover Falkland Pound banknotes to convert them to cash. 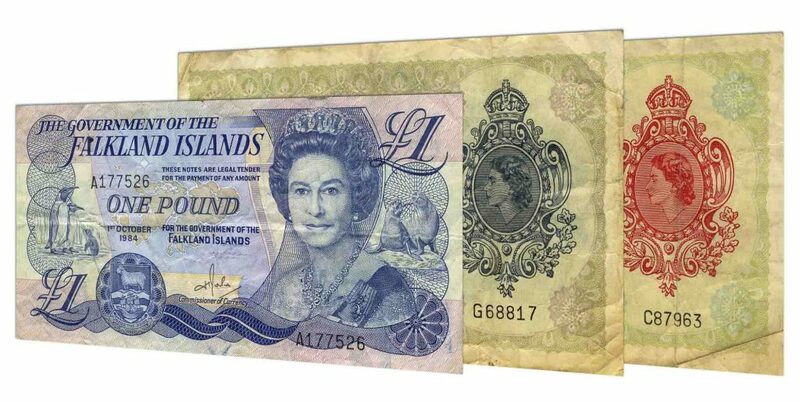 Older sets of banknotes from the Falkland Islands can also be exchanged on our website. This includes the old £1 Falkland Pound banknote. That way you can redeem your old paper money from the Falklands to cash in three easy steps. Small change from the Falkland Islands is similar to British coins: From 1p to £2, the Falkland Islands coins have the same size and weight as their UK equivalents. If you have leftover coins from the Falkland Islands: It is now easy to exchange them in three simple steps. The Caucasion nation of Georgia is one of the latest currencies for which we now exchange currency. Do you have any leftover Lari banknotes from your trip to Georgia? It’s now possible to exchange them in three simple steps. The Jamaican Dollar is the latest Caribbean currency added to our site. We are now able to exchange Jamaican Dollar banknotes. We expect to add Jamaican coins and withdrawn JMD banknotes soon. Peru is the latest Latin American country for which we can convert banknotes and coins to cash. Current banknotes from Peru have been added recently: It is now easy to convert any left over Peruvian Sol banknotes to cash. After launching the newest series of banknotes with improved security features, the Peruvian central bank withdrew the old Peruvian Soles banknotes from circulation. It is still possible to exchange the withdrawn Peruvian Sol bills using our online exchange service. Coins from Peru were the latest set of coins added to the list of currencies we exchange. 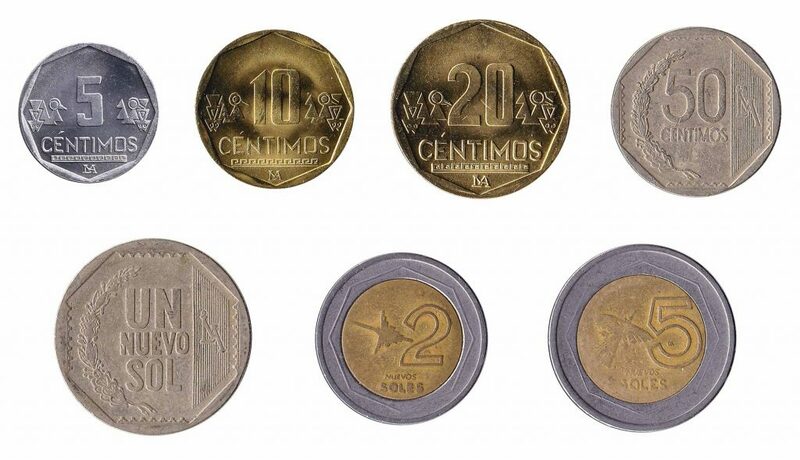 Peruvian Soles coins can be converted to cash in three easy steps, from 5 centavos coins to 5 soles coins.